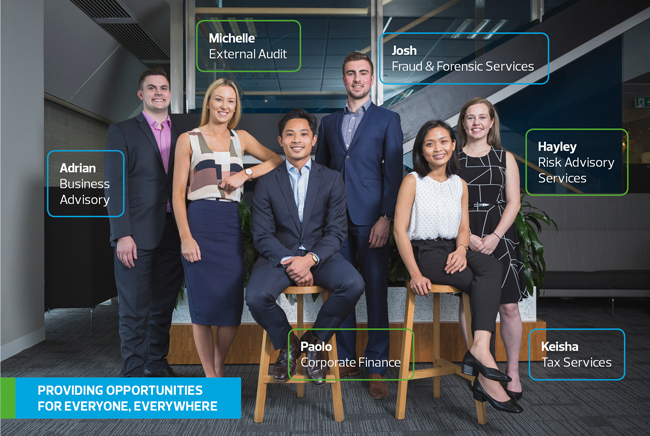 RSM Australia offers the combined benefits of a big firm including extensive networks, training and career opportunities within a highly supportive, people orientated workplace. This combination provides a great environment to build skills and confidence. We have 30 offices throughout Australia in both metro and regional areas and our global presence spans more than 800 offices in over 120 countries, employing around 43,000 people. Our graduates will have an impact in reshaping the 'offerings' professional service firms will deliver in the future. This means collaborating with clients on opportunities to 'adapt and disrupt' rather than become hostages to the past. As the world's sixth largest network of independent audit, tax and consulting firms, we offer you exciting career options including working with clients on complex matters in a fast moving business environment. As future leaders of RSM, you'll be empowered to nurture the ongoing success of clients across diverse industry sectors, not-for-profit organisations and governments alike, by having access to a range of diverse leadership programs to help you grow in your role as a professional. Our people are proud to be part of an organisation that is highly invested in our employees and the communities we live in. Want more information about a position?